Interested in how we get from the grains to the glass? Take a tour of our brewery – one of Devon’s most innovative, hand built micro-breweries – and you can see how our award winning beers are brewed. The tour takes between 30 minutes and an hour and offers a unique insight into the inner runnings of our brewery. You can taste the malts, barleys and wheats, sniff the various varieties of hops and see the fermentation vats bubbling away whilst learning about the processes involved. After the tour, you’re invited to enjoy a tasting in our brewery tap bar, The Old Workshop. Enjoy a free pint or a take-away bottle with the optional extra of a delicious local handmade pie! Tours are available by prior arrangement on Thursday afternoons from 5pm for groups of 10 or more people. On request, tours may also be arranged on alternative days and food can be provided subject to group size, subject to staff availability. 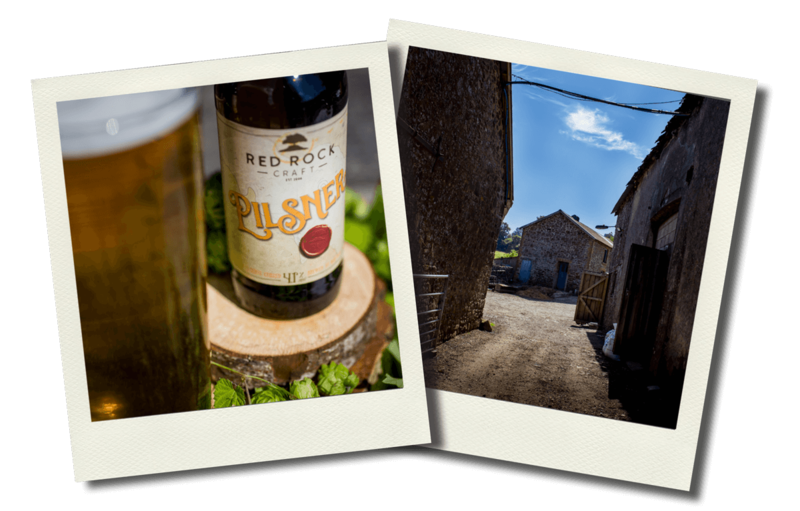 To find out more information and for prices call: 01626 879738 or email us at info@redrockbrewery.co.uk.